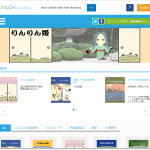 Renewal notice: CHiLO Book download site renewed! We are pleased to announce that we have renewed the CHiLO Book download site to “CHiLO Book Library”. Research results of CHiLO were presented at “Frontiers in Education 2015” held in El Paso, Texas, USA, from October 21 to 24, 2015. 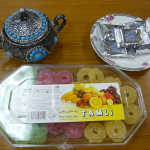 TIES Report Vol.8 has been published. This report compiles lectures given at TIES Symposium held on June 27, 2015 in PDF file format. Having obtained the certification from Nara Prefecture concerning the establishment of the attached research laboratory, we have partly amended the Articles of Incorporation as of September 11, 2015. We welcomed six trainees from the Islamic Republic of Iran, requested for cooperation from the Japan International Cooperation Agency (JICA) for three days from September 7(Mon) to 9(Wed), 2015. TIES Report Vol.7 has been published. This report compiles lectures given at TIES Symposium held on March 14, 2015 in PDF file format. 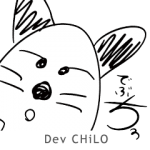 On May 14, 2015, we have released official ” LINE” original stickers that can be used in LINE: Free Call & Messages App, to spice up your instant messages. 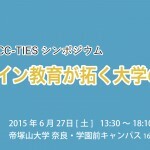 TIES Symposium “Online Education Leads the Way to the Future of Universities” to be held on Saturday, June 27, 2015 at Tezukayama University Nara, Gakuenmae Campus.